One thing unchanged in a Windows OS is Windows Explorer and there are not many good alternatives. Windows Explorer is the default file manager for all Microsoft Windows OS versions. From Windows 95 to latest Windows 10, the feature set and interface have not changed much. Though the Windows Explorer cater to the basic needs, it lacks many features and you feel the cons when you want to manage a large number of files. Moving files across drives, copying and sorting, multiple tabs and at least two panels are the basic requirements. The Free and feature-rich alternatives to the Windows Explorer given will make file managing easier. 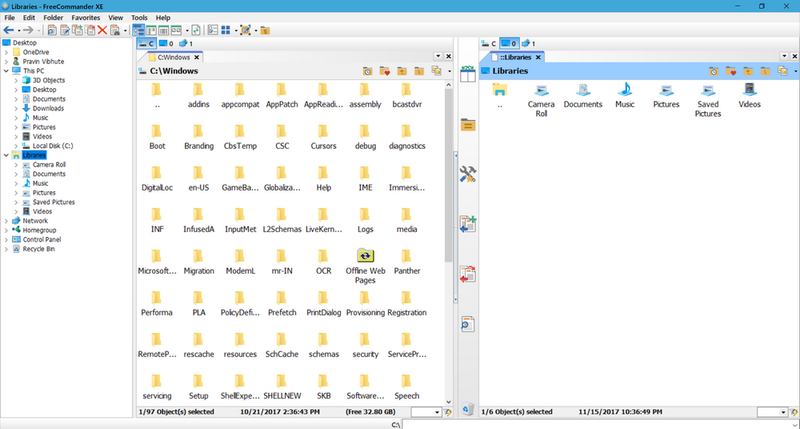 Saladin is open source, free, dual pane interface file manager. Its very basic but easy to use. Dual pane comes handy when you want to move files across folders located on different drives and places. Drag and drop files and folders to move or copy. 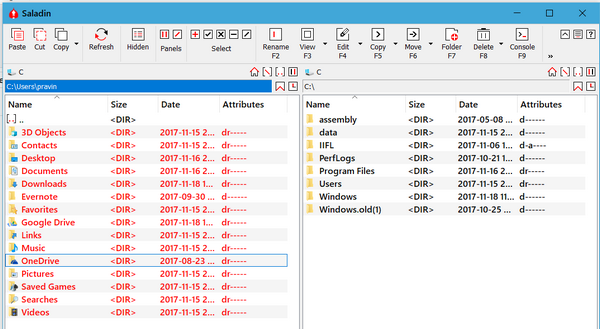 Integrated file viewer to view basic files like text and images and binary viewer for unknown file formats. The default toolbar provides most of the features like copy, paste, view options, selection of files and inverting the selection. Compare feature allow you to compare files of two folders. Or any content of two different directories. This feature is really useful when you want to merge two folders and delete some files. The file that is not common in two folders will be colored in red. 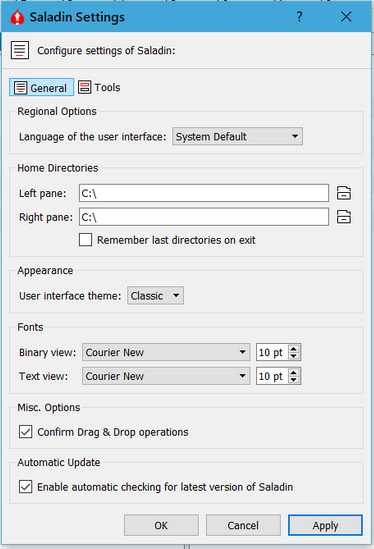 You can set default initial directories for both panels separately in settings. 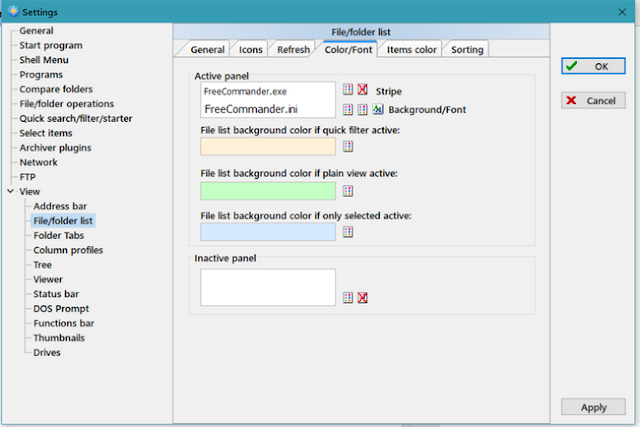 Free Commander XE is a feature packed, again a dual pane file manager. You will find everything you want to manage a huge list of files scattered across different folders and directories. You can have any number no panes and any number of tabs in every panel. Its really great file explorer and have potential to replace the default Windows File Explorer. Double clicking will open a new tab. You can have any number of tabs in any pane. Free commander XE allows you to customize look and feel of everything from custom icons, fonts, colors and many other features as per your taste. Built-in file viewer for text. The buttons at the center of both panels provide access to features like swiping the panels, comparing the content of panels, moving and copying files across folders and more. Free Commander XE also allows you to change the view options like small icons, large icons, thumbnails and other basic options. The folder tree can also show in separate panels. The 'Plain View' is a unique feature you must try. If you have many folders and a huge number of files in every folder. 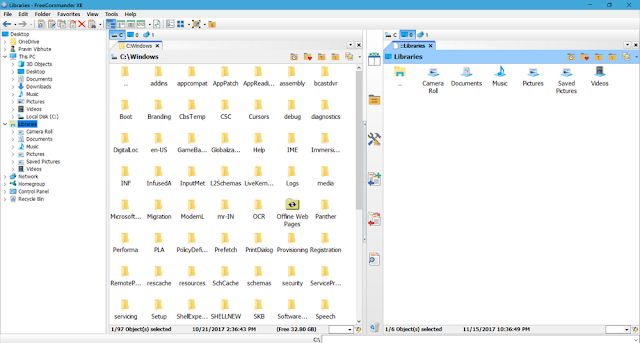 The plain view will show you all the files in all the folders of that directory. You don't have to open every folder to find the file or you can easily find duplicate files saved in different folders. You can split the panes vertically or horizontally, go full screen or remove one panel. There are many other features you can keep tweaking as per you like. Backup settings and restore the saved settings will help you to save all the tweaks you have made to it. Clover will add simple Chrome browser-like tabs to Windows file explorer. You can add bookmarks for frequently used folders. Bookmarking the frequently accessed folder just like the browser bookmarks and saving them on the bookmark bar make it more like a Chrome browser. Interface is clean and minimalist. This is a perfect alternative for most of the users who don't like to open many windows for moving files. QTTabBar is similar to Clover but with huge customization and extra features. 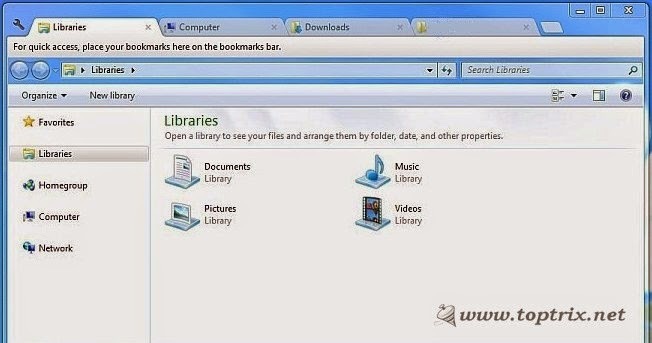 It also allow you to have multiple tabs in Windows default file explorer. Allow to export the settings and restore them. 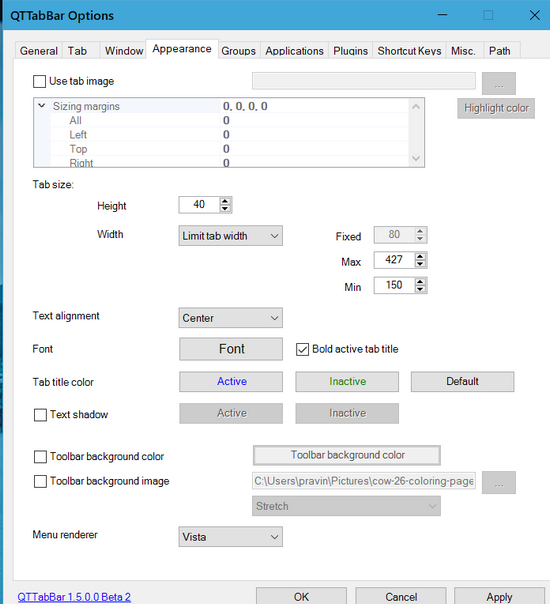 Customize the color, font, tab size, behavior, mouse click settings and more. Set default folder locata ion for a new tab and new window. 💥If you have a huge file base to manage, move and copy, go for FreeCommander EX. Its specialized for file management. But not for daily use. 💥For daily computing, go with QTTabBar. Adds tabs to Windows file explorer. More than sufficient for daily use. When I share this post on Google plus, some great peoples suggested other paid options. Though, I do not review about any paid software here on TopTrix, you may have a look at the discussion. +Andrey Tyurin has suggested Total Commander is the best. +Ananda Sim voted for Total Commander. +Михайло Мрачковський recommends Altap Salamander. Both are paid software but useful. You can consider to buy if you afford or in business computing. If you are already using any other file manager as an alternative to Windows Explorer, please let me know in the comments. XYplorer is another one and I prefer it. Altap Salamander user from 1.52 version. Most of the time, the Windows file explorer with addition of tabs, will serve the purpose for most of the office users. All other dual pane file managers are for power users. That may be the reason, Microsoft do not update it. Explorer++ has been my favorite for years. Although it has not been updated for some time but still remains very capable.